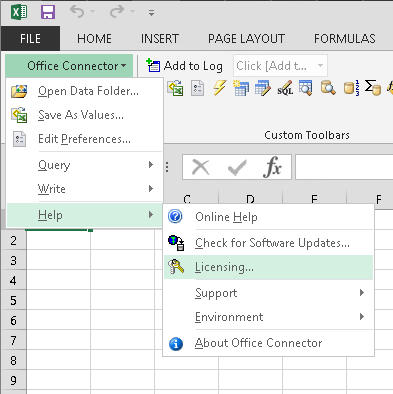 Office Connector Licensing Menu - Event 1 Software, Inc.
For Office Connector, the menu is located in Excel. The Licensing menu in Excel 2007. The Licensing menu in Excel 2010 and above.